Many countries have refused to accept oil coins Can Venezuela break through the economic blockade? Venezuela, caught in the dilemma of internal affairs and diplomacy, can it really break through with the "oil coins" endorsed by the state? Venezuela, which has been financially sanctioned by the United States, is radical on the road to digital currency implementation. Following the issuance of the world’s first national digital currency last year, a constitutional decree on the overall system of encrypted assets was issued earlier this year, on digital assets. Digging, storage, trading, trading platforms, distribution and sales are regulated. This is also the world's first law on the constitutional level of digital assets. Driven by Venezuela, attempts by countries such as Iran in digital currency have also begun to accelerate. Globally, countries with underdeveloped countries and severely inflationary fiat currencies have stronger actions or willingness to issue national digital currencies, with a view to using digital currency to save the legal currency that is on the verge of collapse, and mostly small countries. However, it remains to be seen whether such an action will save the situation, at least not currently optimistic in the market. It is worth noting that according to media reports, the number of bitcoin transactions in Venezuela suddenly soared last week, and the transaction value on the Bitcoin trading platform LocalBitcoins was about $7 million. The article said that the reason for this phenomenon is that Venezuela is currently facing a political crisis, while oil prices have fallen, making the domestic economic crisis worse. This phenomenon seems to indicate that the people of the country are not very convinced of this so-called oil currency endorsed by the state. Venezuela has just announced the promulgation of a “constitutional decree on the overall system of encrypted assets”. Under this law, almost all activities related to cryptocurrencies, including mining, storage, trading, trading platforms, distribution and sales of digital assets, are considered part of this complete system. Under the new law, Venezuelan state agencies have the power to regulate all matters related to encryption and digital assets. This is the world's first law at the constitutional level of digital assets. Previously, some countries' regulations on digital currency were administrative regulations and less involved in law. In the attempt of digital currency, the relevant measures launched by Venezuela are radical. At the beginning of last year, Venezuela announced that it will launch the first digital currency “coin coin” developed by the world, and it was launched on six exchanges in November last year. It is understood that the total circulation of petroleum coins is 100 million pieces. Unlike Bitcoin, petroleum coins do not need to be “mining” by computer power and large amounts of electricity. All coins are pre-created and issued by the Venezuelan government and sold directly, similar to the public offering of shares in the primary market. According to the white paper on oil currency issuance, among the 100 million oil coins, the Venezuelan government's digital currency regulator will hold 17.6 million. The price of a petroleum coin is US$60, which is similar to the unit price of a basket of crude oil in Venezuela and will be linked to it after the actual issuance, which makes the potential total value of the oil coin reach US$4.944 billion. In the white paper, the Venezuelan government also guarantees the acceptance of petroleum coins as a means of paying taxes. It is expected that this cryptocurrency product will become a savings, investment and international payment tool for more than 30 million Venezuelan nationals. The number of potential users far exceeds all current global encryption. The sum of money users. The Venezuelan government issued a decree to reveal an overview of the oil currency transaction and the “guarantee” mechanism. The decree promises that the oil will be "guaranteeed" by Venezuela's crude oil, natural gas, gold, diamond or coltan reserves, that is, each unit of oil has a value of one barrel of Venezuela's package of crude oil purchase and sales contracts as "material support." The petroleum currency can be exchanged for other cryptocurrencies, or it can be exchanged for domestic currency Bolivar on the domestic trading platform or exchanged for foreign exchange on the international trading platform. The government will set up a special regulatory agency to supervise the trading of petroleum coins. Recently, the government of Maduro in Venezuela has intensively introduced relevant policies, including increasing the value of petroleum coins by 4 times to 36,000 Bolivars, and forcibly converting the payment method of resident pensions into petroleum coins. Recently, the country’s housing minister said that encouragement Their citizens use petroleum coins to buy property and give them a 10% discount. It is widely believed that the introduction of oil coins in Venezuela is an attempt to seek international financing under the pressure of external debt and the tightening of the western financial blockade. It is hoped that this attempt will break the financial blockade of the United States and overcome the current economic difficulties. The Venezuelan government has repeatedly stated that the petroleum coin is the world's first digital cryptocurrency issued by sovereign countries and supported by natural resources, with cross-border payments and international financing functions. In the past year, the United States has continued to increase its economic sanctions against Venezuela, including prohibiting US financial institutions from participating in the new debt and equity transactions of the Venezuelan government and state-owned Venezuelan oil companies, and prohibiting US institutions from participating in some of the bond transactions currently being issued by the Venezuelan public sector. The sanctions have caused the government and the oil companies to issue new bonds on the international open market to ease the repayment pressure of old debts and increase liquidity. In addition, all US dollar accounts associated with the government are also severely restricted from receiving payments for oil exports through traditional international transfers, nor for remittances for imported goods. Therefore, the current government facing huge economic difficulties decided to issue oil coins to break the US financial blockade. However, the United States has said that the oil coin is an extension of the government bonds and still belongs to the scope of sanctions. This will have a negative impact on the international circulation of oil coins. The outside world’s views on oil coins are not consistent. The positive voice believes that oil prices are more stable than the depreciating Venezuelan national currency, which in theory can bring more confidence to investors in oil coins. The government hopes that by issuing oil coins to deal with the US financial blockade and solving its own economic problems, it may help it gain new space for vacillation. Some market observers believe that the Maduro government hopes to bypass the US economic sanctions through oil coins may not work, and other countries do not buy new things that are not clear about the risk factor. Officials in Russia, Argentina, Poland and other countries have refused to use oil coins. It should be noted that the political situation in Venezuela is complex and different political factions have different attitudes towards oil coins. Some experts have questioned that both government decrees and white papers only promise that oil coins can be exchanged for other virtual currency or legal currency, or as a representative of crude oil commodities in online transactions, and there is no mention of how crude oil as a guarantee can be cashed. In addition, behind the huge reserves, the capacity of the Venezuelan oil industry has been stretched, and it is difficult to cope with rising debt and severe trade deficits. Earlier, Barclays Bank's research report expected Venezuela's average production in 2018 to fall to 1.43 million barrels. The report pointed out that due to the economic crisis and international sanctions, the Venezuelan oil production industry is facing shortage of equipment investment, loss of technical talent, management politicization and debt burden, which has severely shrunk production capacity, and the role of the above factors will continue. As far as the petroleum currency is concerned, the digital currency itself has some problems. The six exchanges currently on the line of oil coins are unrecognized and have low transparency. Since the second half of 2018, the digital currency has opened the downside mode after the last round of bubbles. Statistics show that the current overall market value is 115.2 billion US dollars, compared with more than 80 billion US dollars a year ago has evaporated more than 80%. Just 8 days later! 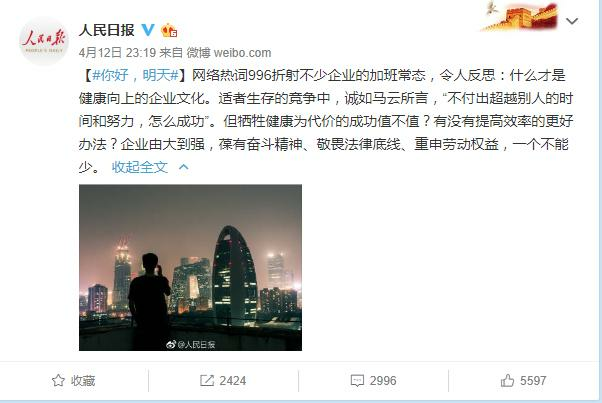 Securities Law welcomes "three readings"
The National Housing Provident Fund Second Suite "recognize the house and recognize the loan" How big is the impact of the Beijing property market? 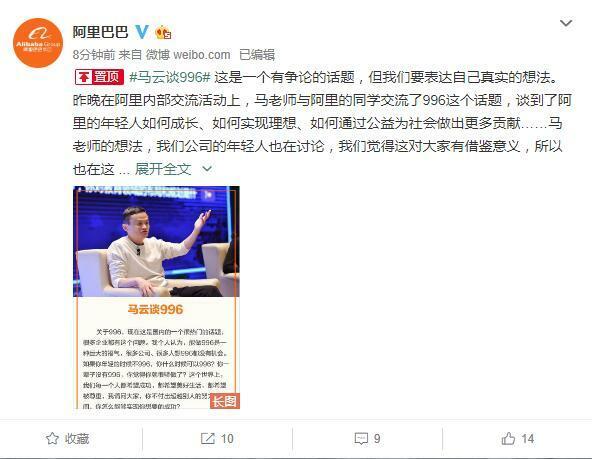 The People’s Daily responded to Ma’s “996” view: Is the value of success at the expense of health worthless?